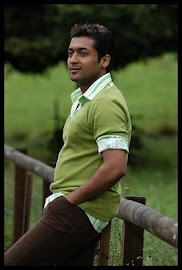 Sources say that Surya will soon re-entry in Bollywood with remake of his brother Karthi's Superhit film 'Paiya'. Paiya was successful in Tamil with Karthi and Tamanna in lead roles. The movie was directed by Lingusamy. Paiya was remade in telugu as Awara. This project is not yet officially confirmed. Let's wait for the official confirmation.